What a shame we’re seeing more and more CrossFit athletes in breach of the CrossFit drug testing policy. Thank you to CrossFit Inc. for expanding it’s efforts and methods of testing each year. We hope that each year athletes learn from this and treat this very seriously and choose not to breach CrossFit’s Drug Testing Policy. You can learn more here. Four times CrossFit Games Veteran Emily Abbott was one of the most well known athletes to fail the drug test, testing positive for ibutamoren, an anabolic agent. Despite Emily’s detailed explanation and supporting evidence, the CrossFit Games imposed the maximum possible sanction, and suspended her from June 22nd, 2018 until June 21st, 2022, without granting her a hearing. Despite Dean Shaw’s attempt to appeal, the CrossFit Games imposed the maximum possible sanction, and suspended CrossFit Valley Road from competing between June 22nd, 2018 to June 21st, 2022. “On 16 July 2018 we were notified by The CrossFit Games support team that Dean Shaw, a member of our CrossFit Valley Road team, failed a drug test at the CrossFit Meridian Regionals in Madrid, Spain. Therefore team CrossFit Valley Road has been disqualified from the 2018 CrossFit Games in Madison USA. Dean is currently in the process of appealing, and we wish him the best of luck to clear his name. He is currently refraining from making any further comments until the final outcome of the matter. Team CrossFit Riviera was disqualified for violating team eligibility rules. Refer to Section 1.18 of the Rulebook for more details. “To all our supporters, fans, friends and family, with a heavy heart and with great disappointment, our team CrossFit Riviera was informed today, by the Director of the CrossFit Games, Justin Bergh, that our team, according to their best judgement, stands in violation of one of the points in the rule book and hence has been disqualified for the 2018 Games season. We would like to take a minute to explain the situation to all of you who cheered for us, who supported us and everyone that made us push harder than we could have ever done just by ourselves. Point 1.18 of the rulebook states that only one member of the team can be on official licensee of a CrossFit affiliate. In our case, this used to only be Mareck for CrossFit Riviera. At the beginning of the year, Cynthia filed for her own affiliate and her request was approved much quicker than anticipated. Hence the violation of rule 1.18. However, as further stated in the rule book there is an exception to the clause which we firmly believed and still believe applied to our team. As a result, our team has been disqualified for an administrative and not a performance based reason. This however does not diminish the fact that our whole team has sacrificed a lot to get to the point where we are today. We are sad and disappointed that none of our arguments were able to convince CrossFit HQ otherwise. As a team, we are only left to accept the decision of CrossFit HQ and wish all the teams competing at the 2018 Games the best of luck. Yours truly, Mareck, Aurelie, Chris, Cynthia. Allegation Form – General Rules Violation: Intended for allegations against individuals, affiliates, or teams for violating rules pertaining to team eligibility, region eligibility or submitting falsified scores. 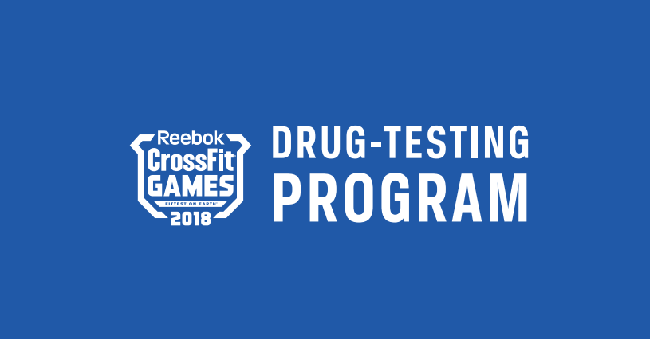 Allegation Form – Drug Policy Violation: Intended for allegations against individuals, affiliates or teams violating our CrossFit Games Drug Policy.